Many soldiers who fought in the Vietnam war were exposed to a highly toxic pesticide -- a defoliant called Agent Orange. Over the years, some of the soldiers developed lymphoma from their exposure. In order to cover the cost of their medical care and cancer treatments, these soldiers and their families had to file a lawsuit. 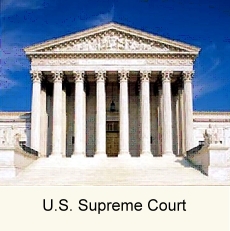 The case went all the way to the U.S. Supreme Court. Lymphoma Foundation of America joined the Vietnam veterans in their lawsuit. We were the lead amicus organization. We filed a brief and presented evidence to the court on the link between the pesticides contained in Agent Orange and lymphoma. Lymphoma Foundation of America's research report entitled: "Do Pesticides Cause Lymphoma?" was cited by the lower court in its favorable ruling for the veterans. (Dow, Monsanto v. Stephenson et al). As a result of this successful lawsuit, Vietnam veterans who developed lymphoma decades after Agent Orange exposure now have the right to receive compensation for the cost of their medical care. The ruling also covered the families of Vietnam veterans who died from lymphoma.